The problem with this? 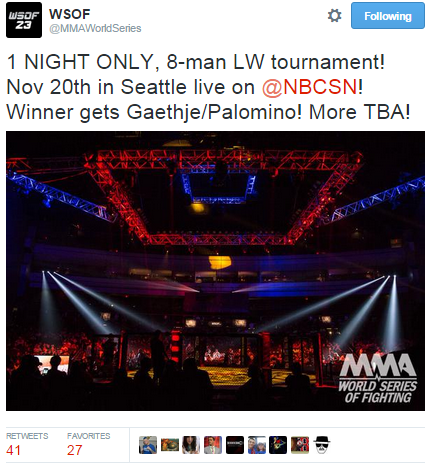 Leaving aside the ABC’s medical committee’s stance that elimination tournament MMA should “not be endorsed” Washington State law prohibits elimination tournaments. You can access Washington State’s Law Relating to Combative Sports here. No amateur or professional no holds barred fighting or combative fighting type of contest, exhibition, match, or similar type of event, nor any elimination tournament, may be held in this state. Any person promoting such an event is guilty of a class C felony. Additionally, the director may apply to a superior court for an injunction against any and all promoters of a contest, and may request that the court seize all money and assets relating to the competition. “Thank you for your inquiry and link to an article regarding a possible elimination tournament to be held in Washington State. However, we have not approved this event and you are correct that Washington State law prohibits these types of events.”. Perhaps the event is planned to be hosted on tribal land, however, if the event is held in a venue where the State’s Department of Licencing has jurisdiction it will be off limits.